Make this lower-level duplex your home base in Newport Beach and enjoy strolling among shops, dining, and the beach. Just seven houses from the sand, featuring a private patio with plenty of room to kick back, this breezy getaway is ideal for making the most of the abundant sunshine. Enjoy sleeping space for six, a full kitchen, and easy access to the bike path for pedaling/jogging along the coast. After a long day in the sun, find your chill in the living area with cool tile and surf accents. Sink into the espresso leather sofa, flip on the large float panel TV to watch your favorite show and stoke the flames in the wood-burning fireplace. Compact, but roomy enough to prepare everything from beach picnics to full feasts for dinner, the kitchen features cheerful ocean blue tile and a full range of appliances. Large cabinets provide plenty of storage space for your groceries. Eat together at a cozy dining nook for four. Seashore decor and a tiki-inspired, queen-size sleigh bed create a Tommy Bahama vibe in the master bedroom. Get ready for outings in total privacy and comfort in the en suite bath with shower/tub combination. Find the same breezy beach style in the queen-size second bedroom, conveniently adjacent to a guest bath with shower/tub combination. Two additional guests can snooze soundly next to the fireplace in the living area: the sofa pulls out into a full-size sleeper sofa. •	BR1: Tommy Bahama-style suite with queen-size bed and en suite bath. •	BR2: Breezy beach retreat with queen-size bed. Sneak away from the beach for sunny afternoon BBQs on your private patio. A direct-line gas grill makes it easy to whip up lunch or dinner for the whole group, and a round table for four with umbrella offers a spot to dine in the shade. In the garage, you’ll find a coin-operated washer and dryer (owner provides quarters for summer rentals) and tandem parking for two cars. 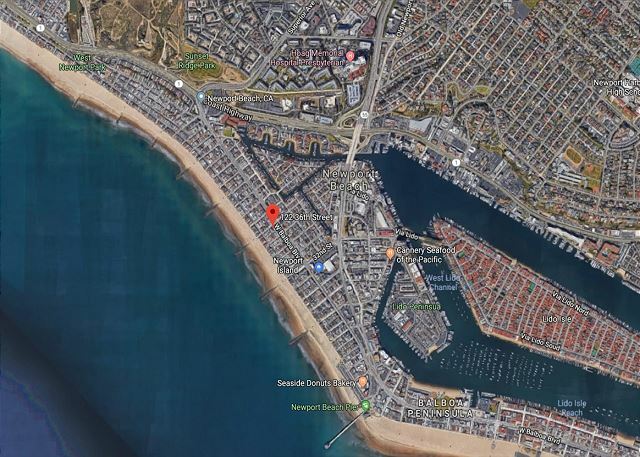 Just off West Balboa Boulevard and only seven houses from the water’s edge, you’ll have easy access to the best of Newport Beach. Wander down to the water for swimming and sunning, then fuel up by grabbing groceries at Pavilion’s or having your pick of eateries. Join the locals at Hook & Anchor for superb seafood in a casual setting, Gina's for pizza and salads or quaint Pescadou Bistro for everyday French fare and fine service. There are dozens of additional dining options within a 10-minute walk. See the beach from a new perspective by pedaling down the bike path (boardwalk) — catch it at the end of the street. 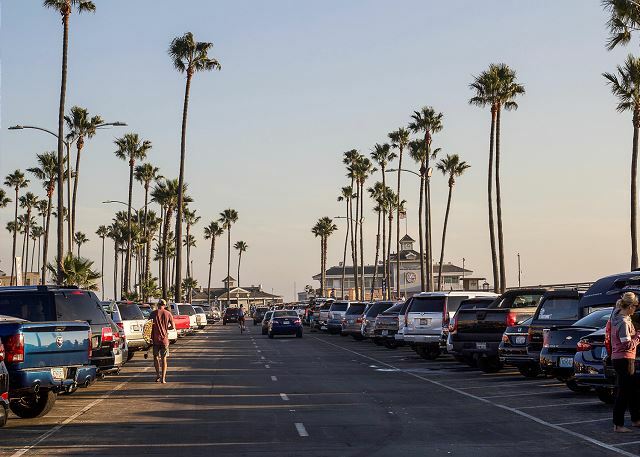 From there, it’s an easy 5-minute ride to Newport Beach Pier for fishing and more shops and restaurants, and 15 minutes more to Balboa Pier and Fun Zone for family-friendly excitement. 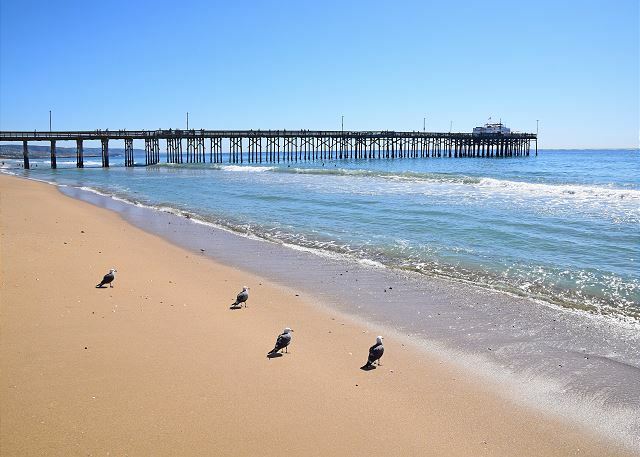 We are glad that you enjoyed your stay and we look forward to seeing you again on your next trip to Newport Beach! Thank you for your feedback. 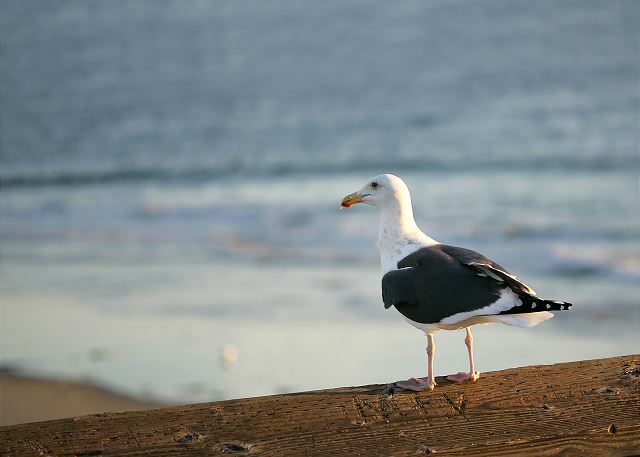 We look forward to seeing you again on your next trip to Newport Beach! This was great house to stay in for our trip! Close to beach and Burr White was great and easy company to work with. The house was clean and had everything we needed to be comfortable. We look forward to seeing you again for your next beach vacation! We had a great stay. Weather and surf were great. Our family use 122A and 122 36th. Place works great with good facilities and 4 space garage......still no view of the beach. Neighbors house blocks view from deck. This was our 3rd year. We look forward to seeing you again for your 5th year!